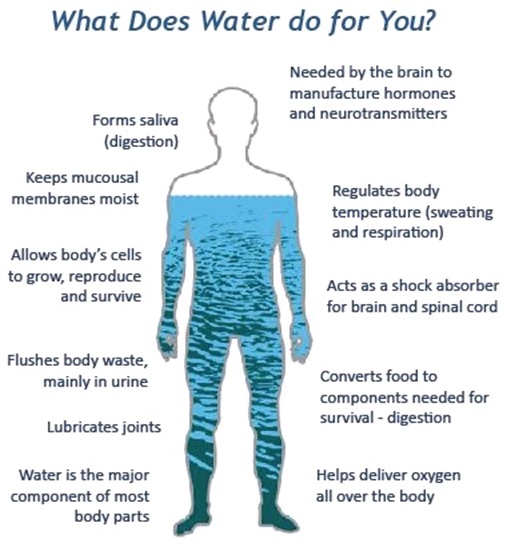 What does water do for You? Our current understanding and comprehension of fluid hydration has certainly expanded over the past decades including the knowledge of patterns of intake and some factors linked with this daily fluid intake and how homeostasis plays a part in our fluid hydration that pushes us to have heightened and peaked energy levels, human performance and day-to-day functioning for our best forms of ourselves. Water is not only important for physical performance, thermoregulation, cognitive performance, gastrointestinal function, heart function and hemodynamic response, and skin integrity, for instance, but centered on some studies – such the National Institute of Health published NIH-PA Author Manuscript titled “Water, Hydration and Health” by a collaboration from the Department of Nutrition at the University of North Carolina (Chapell Hill, NC), Department of Psychology at Tufts University (Medford, MA) and the Nutrition and Neurocognition Laboratory at the Jean Mayer USDA Human Nutrition Research Center on Aging at Tufts University (Boston, MA) – water may also confer prevention of nutrition-related non-communicable diseases which has recently materialized in the past years due to the dietary shifts of sizeable quantities of fluids people are ingesting from their daily caloric beverages. What is central is the notion of major gaps in our knowledge of how we can quantify and measure our total fluid intake (in addition to the way healthcare providers record the vital signs and fluids taken in or excreted out which are also known as the “Is and Os” or “Ins and Outs” over a twenty-four hour period especially in inpatient medicine); the hydration status in the community and/or population level; and the limited long-term systematic interventions and random-controlled, double blinded studies about the important topic of fluid hydration and our health. The latter is especially significant because there should be more experimental studies to assess the impact of water intake not only on healthy people but also on its impact of acute and chronic medical conditions for disease prevention and even more health promotion as there has been only some retrospective studies that have limited scope and only utilized “healthy non-institutionalized individuals” concerning their recall of water intake. What is the recommended oral intake of water every day? Based on the Healthy Lifestyle: Nutrition and Healthy Eating article, “Water: How much should you drink every day?” by the Mayo Clinic, water (and the molecule being H20) is very vital and indispensible for any individual’s good health but fluid intake for each individual is unique and may vary based on the person’s weight, age, current medical condition and health status, and even environmental factors just to name a few of the influences affecting one’s minimum and recommended daily oral water intake. It’s most probably individualized and, therefore, every single person has to really cater to their own body’s needs for fluid hydration to approximate how much fluids – and not necessarily non-isotonic “every day” water – to drink regularly. This is actually harder to predict and gauge but may be best uncovered and stripped down if we can talk about the current myths that are out there which have been passed down or expressed by lay folks and even healthcare professionals based on how much fluid you should drink. What about the cliché of “try to drink 8 eight-ounce glasses of water every day” that most people tend to say in order to reach one’s daily oral fluid intake? Let’s get down to some conversions with the International System of Units (SI) and United States (US) system of measurements: each US fluid ounce equals to approximately 0.0295735 liters of capacity and volume in the metric system and, thus, an 8 eight-ounce glasses of water is roughly about 1.9 liters. Is this truly the correct and appropriate oral intake of water an individual needs every day? Based on evidence-based research or maybe just your own leisurely browsing on the internet, there essentially have not been any clear cut evidence to suggest that this is exactly and precisely the recommendation but it is likely a straightforward phrase or saying passed down from generation to generation that laypeople or, again, even some medical providers may advice far too often because, for one point, it might be easy to remember and, two, they are probably thinking that it is better to shoot for what it is supposed to be rather than not try at all for your own health’s sake as far as getting the minimum and recommended daily oral fluid hydration. It’s interesting to say the least. Since we are already here, you might as well now want to know more in depth or at least get clarification about what the lowest and maybe maximum suggested fluid hydration we actually need every day. Essentially, the truth is that the 8 eight-ounce glasses or 1.9 liters of water per day of oral water intake falls short of the recommended dietary allowances and adequate intakes for total water for not only older children, adult males and females but also during pregnancy and lactation as per the Food and Nutrition Board, Institute of Medicine, and National Academies’ Dietary Reference Intakes (DRIs). For instance, for a “typical” adult male ages 19 and over 70 years old with the “average” weight in kilograms (kg.) or pounds (lbs.) the Adequate Intakes (AI) is about 3.7 liters (about 15 eight-ounce glasses of fluid) per day and for an adult female with the same “typical” and “average” standards in age and weight it is about 2.7 liters (11 eight-ounce glasses of fluid) per day. This is not only surprising but also very thought provoking because that is an astounding more than 194% increase in daily total water intake for an average-sized ordinary man and more than 142% increase for a woman with a normal body mass index! 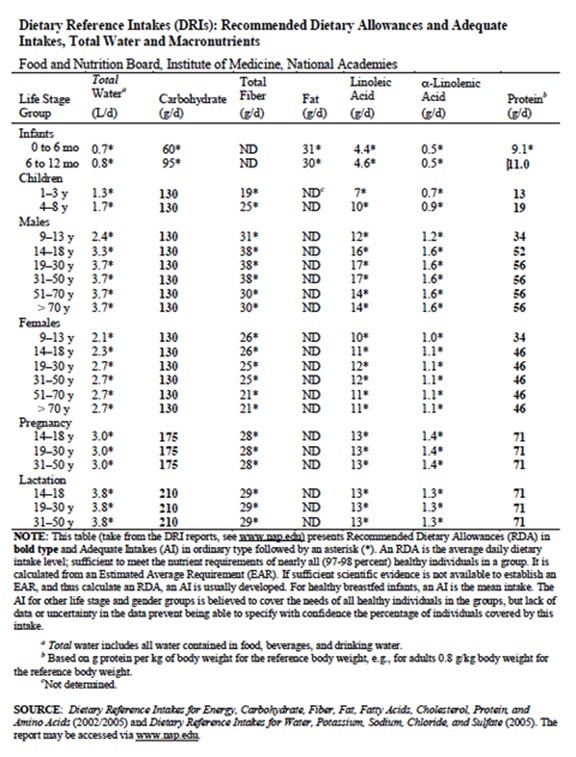 Remember, “total water” includes all water comprised in food, beverage, and drinking water, and the AI for most other healthy life stage and gender groups is understood to cover the requirements of all healthy persons in the groups as per the table in the referenced Dietary Reference Intakes (DRIs). 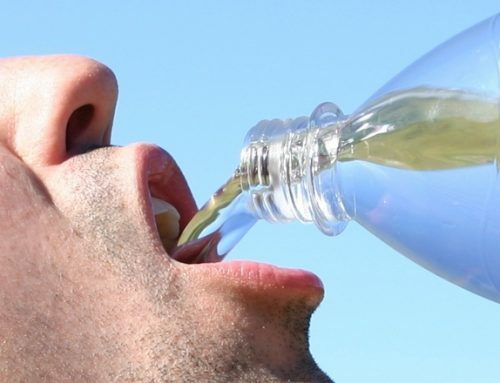 Therefore, this only means that most people who were told to “drink 8 eight-ounce glasses of water every day” were (unfortunately and innocently) cut short in their recommended daily intake of fluids, whether that is in their liquid beverages and also their caloric food intake contained in the macronutrients they ingested on a daily basis. Digging deeper into this now then means that the aforementioned myth and saying of “drinking 8 eight-ounce glasses of water everyday” was mostly inaccurate even though at the heart of it was kind and for good intention to make you be aware of the fluid hydration that you need every day. What are the non-modifiable and modifiable factors that influence one’s need for a certain range of normal and recommended daily fluid intake? To answer this important question that may solve our understanding of the importance of hydration, we have to review the non-modifiable and modifiable elements that affect fluid intake and loss. Other than non-modifiable factors that affect your water needs such as your age, race, and body types, there are some modifiable daily activities of living, current medical and clinical conditions, pregnancy and lactation, and even the environment that significantly affect your total daily fluid adequate intake. Your physical activity – whether you are sedentary, moderately active, or substantially active – and varying temperate conditions may affect your fluid water intake and loss. Everyday living requires (obligatory water loss through) biological and physiological processes to create urine and feces for solute and waste product disposal of our body as well as even respiration (insensible water loss) and evaporation of sweat after trans-epidermal diffusion from our skin that all play factor and may affect our dynamic fluid intake and loss in our bodies. Who needs more daily fluid requirements based on their current medical and clinical illness(es)? The right question would be what additional challenges do these groups of people who actually need to increase their daily fluid intake? The latter is not as easily answered than the former question which, by the way, are young children and adolescents, pregnant women who are especially lactating after giving birth, the numerous aging seniors who are living longer now than ever before, and those who are ill and sick from acute and/or chronic medical conditions that intensifies the risk of decreased oral intake or amplified fluid loss. 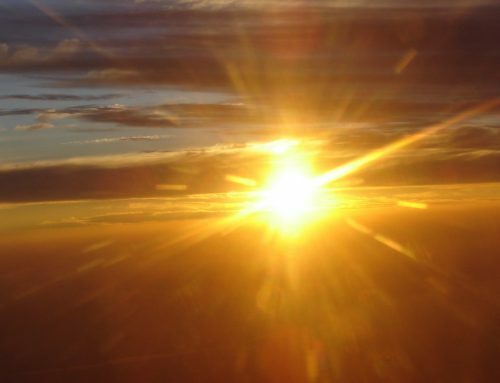 As a Division of Palm Desert Resuscitation Education, LLC (PDRE), Replenish 360 (R360) is located in the desert areas of the Coachella Valley, where during the hot summers the temperature can shoot up to more than 120 degrees Fahrenheit or 48.88 degrees Celsius. 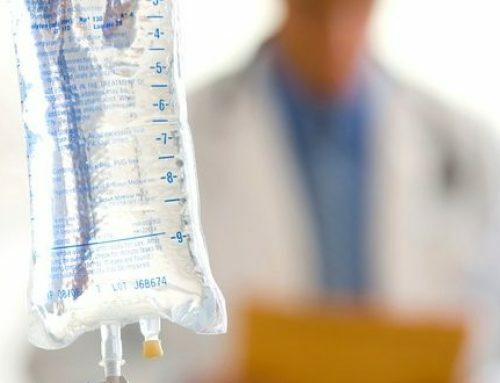 This scorching and humid weather can actually influence the requirements and recommendations for fluid intake whether that is orally (most preferably) to even intravascular through our Replenish 360 (R360)’s lines of intravenous (IV) therapies to replenish your mind and body, restore you to your best self, and improving your overall health and every performance in your daily activities of living. It’s particularly true for those number of people who perform their occupation in such high and also low temperature environments requiring you to hydrate religiously even more than the “average” person. Replenish 360 (R360)’s parent company, Palm Desert Resuscitation Education LLC (PDRE), provides high-quality and professional training and certification in Basic Life Support (BLS), Advanced Cardiac Life Support (ALCS), Pediatric Advance Life Support (PALS), Neonatal Resuscitation Program (NRP) and other specialized and innovated instructions and curriculum for healthcare professionals as well as non-medical lay persons. The importance of prevention of cardiopulmonary arrest is the chief point that PDRE stresses upon when it comes to providing these basic and advanced resuscitation lessons and curriculums. However, the primary assessments and surveys utilized for ACLS, PALS, and NRP for instance are essential in integration to any fluid resuscitation attempt for unstable patients, more importantly, as well as preventative measures for healthy individuals who are just mildly to moderately dehydrated from their normal daily activities and life’s challenges in not being able to hydrate sufficiently and appropriately in a consistent manner. 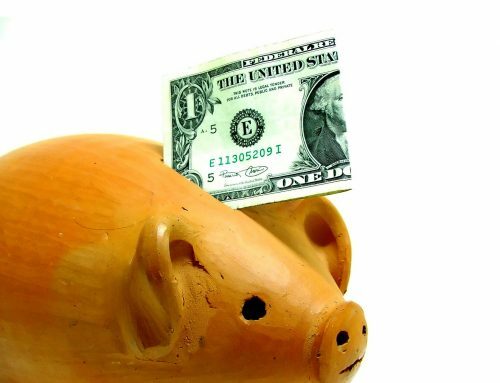 The latter, of course, is what Replenish 360 (R360)’s main goal desperately and enthusiastically desires to resolve in our plush and relaxing IV Hydration Therapy Clinics and/or out-of-site comprehensive wellness referral services. The former, however, is interesting to note to say the least. Specifically, for conscious or semi-conscious patients who have hemodynamic instability the primary assessment survey of “ABCDE” (Airway, Breathing, Circulation, Disability/Differential Diagnosis, and Exposure) describes “Circulation” or “C” as one of the algorithms needed for effective cardiopulmonary resuscitation and explicitly points towards fluid resuscitation for any compromised circulatory and vascular systems. Obviously, the advance healthcare provider’s initial impression will require immediate “at or from the door” evaluation of the patient’s current medical condition as either a respiratory, cardiac, shock, and/or life threatening issue in order to provide the best, most appropriate, and initial medical and clinical intervention(s). For instance, if the patient’s initial appearance illustrates someone who is in respiratory distress or arrest with other grave symptoms such as pale skin, dry mucosal membranes, abnormal skin turgor, and increased capillary refill from a quick targeted physical examination; point-of-care vital signs suggesting hemodynamic instability, stark dehydration, and shock in a patient who is severely hypotensive, tachycardic/bradycardic, tachypneic/apneic, hypoxic, and hypothermic; his or her medical history proposes any degree of desiccation from severe nausea causing vomiting or retching, decreased oral intake of food and fluids, watery diarrhea, excessive blood loss, and other multitude causes of dehydration etiologies; and in addition to non-reassuring diagnostic testing, such as deviant electrocardiography (ECG) findings, then obvious and immediate fluid resuscitation and advance life support is indicated and, if delayed, may cause cardiac arrest, organ failure, long-term debilitation and death as stated previously in some cases. Dietary Reference Intakes for Energy, Carbohydrate, Fiber, Fat, Fatty Acids, Cholesterol, Protein, and Amino Acids (2002/2005) and Dietary Reference Intakes for Water, Potassium, Sodium, Chloride, and Sulfate (2005). Why Get Your “Glutathione Antioxidant Fix” at Replenish 360 with Your Intravenous (IV) Hydration Therapy and Wellness Services? Why is water so critical in our fluid hydration and health?